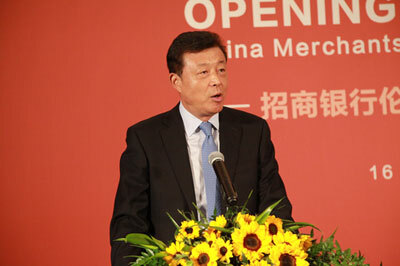 First of all, my warm congratulations on the opening of the London Branch of the China Merchants Bank! Today's event is of especial significance because it is setting a string of new records. First, the CMB London Branch opening is the eighth such event that I have attended since I became Chinese Ambassador to the UK. A number of Chinese banks have come to London over the past six years. Some opened subsidiaries and branches, and others set up representative offices. London is a global financial centre. The steady stream of Chinese banks arriving here is concrete evidence that China's banking industry is going global. It is also a strong indicator of ever closer China-UK financial cooperation. 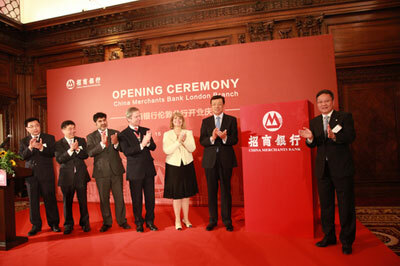 Second, the CMB London Branch is the first of its kind in Britain set up by a Chinese joint-stock bank. The CMB was one of the many success stories of China's market-oriented economic reform started more than 30 years ago. The success of the CMB today is the very reflection of China's endeavour to build a market economy. This is the best answer to some European politicians who are still in doubt about China's market economy status. I hope they will care to learn a little bit about the CMB's development over the years. I believe the CMB's growth and progress will speak volumes about China's open economy and free market today. 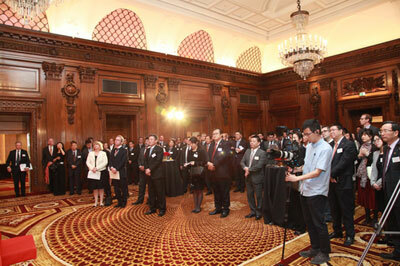 Third, the new CMB London Branch is the latest outcome of the "Golden Era" of China-UK relations. Last year, President Xi Jinping's state visit to the UK opened a new chapter for China-UK relations. This year is the opening year of the "Golden Era". It has witnessed a series of new breakthroughs in our cooperation across the board. A week ago, I was with Secretary Baldwin at the London Stock Exchange to witness the listing of a three billion RMB bond issued by China's Ministry of Finance. That was the first sovereign bond issued by China overseas. Today, we are gathered to mark the official opening of the CMB London Branch. It is yet another happy event worth celebrating. It gives me every reason to expect still more highlights in our business and financial cooperation, which will add more "golden shine" to our "Golden Era". In conclusion, I sincerely hope that the CMB London Branch will take full advantage of London's position as a global financial centre. I hope you will provide quality and comprehensive financial services and continue to raise CMB's global influence and international competitiveness. I will count on your contribution to even stronger China-UK financial and business cooperation.